I wanted to share this post for anyone out there looking for an editor. Alison certainly knows what she’s talking about, and she delivers on every point. She really helped me with both the final edit of my novel and my social networking profile. She was also there when it all got too much, offering me support and words of encouragement. Even though passing your work to an editor may seem daunting, it’s so rewarding when you see how much better your work can be. Since starting my editing business, I have worked on more than seventy projects. I feel very honoured and very privileged that these writers have trusted me with their work. As a writer myself, I understand how fellow writers feel about their work, and also how difficult it can be to hand that manuscript over to someone else, often someone you don’t know, and trusting them to do a good job. 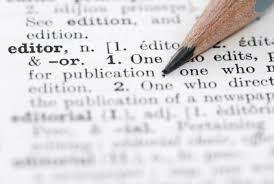 Choosing an editor is a minefield – there are so many out there now, so what should you expect from an editor? And what should you look for when choosing one? This entry was posted in editing, writing and tagged editing, proofreading, writing by suzannerogersonfantasyauthor. Bookmark the permalink. Yes, working with an editor made such a difference to my books! Lucy (my editor) really ‘got’ my stories and was able to make solid suggestions, as well as giving my work a final polish – well worth the investment.